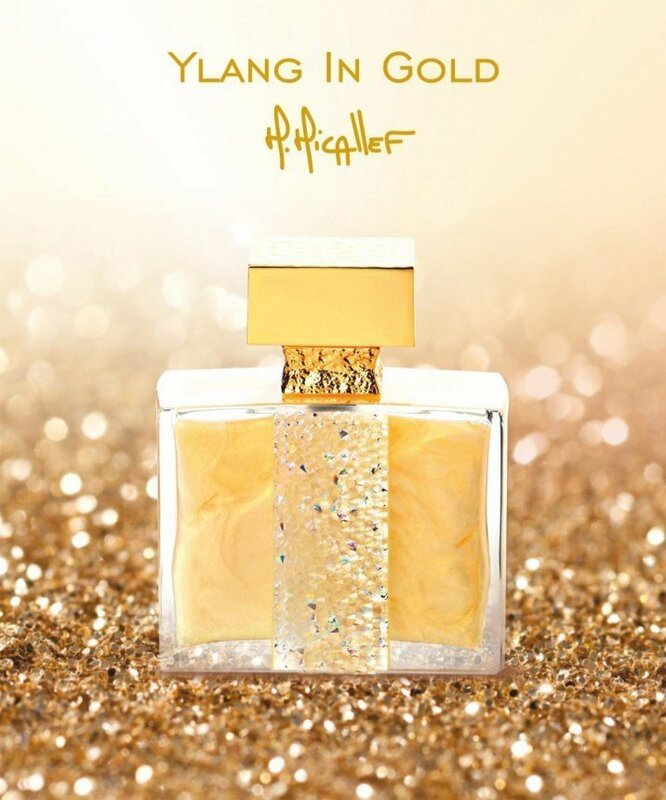 Ylang in Gold is a popular perfume by M. Micallef for women and was released in 2012. The scent is floral-sweet. It is still in production. Ever since its release, I wanted so badly to try Ylang in Gold. I don’t know why it took me so long to test it; a reason for it might have been that I was afraid to want such an expensive perfume. Every time I fall in love with a perfume which sells for several hundred dollars a bottle, I curse fate for bringing me such loveliness that I cannot afford let alone justify buying it. Trying this on my skin, however, has been a positive and a negative experience, both aspects from which I will benefit. Negative aspect: I loved it at first sniff. This automatically puts it in the category of “Too Expensive”. Positive aspect: It's two fold... Firstly, it’s simply too gorgeous for words! Without looking at any of the notes, I get a fruity opening followed by a trace of Ylang Ylang. Secondly, about 30 minutes into the drydown, I get fruity, powdery Vanilla pudding with less-than-dominant Ylang Ylang with tremendous sillage and longevity. In short, I get an ever-so-slightly fruitier version of Hanae Mori (Parfum version.) If I was asked to blindly smell and identify this on my skin, I’d say “Hanae Mori Parfum” without hesitation. Are the ingredients more expensive/pure/rare/loftier/so much more uber-awesome than the mass marketed Hanae Mori? I’m sure of it. Does that make any difference as far as the end result? No. And that, folks, is the BEST news. I get to keep my beloved Hanae Mori and several hundred dollars in my pocket. For those of you who would like to buy this but cannot afford it, seek out a sample of this. If you like it, go purchase the pocket-friendlier Hanae Mori Parfum version (Pink Butterfly). It’s essentially the same thing. 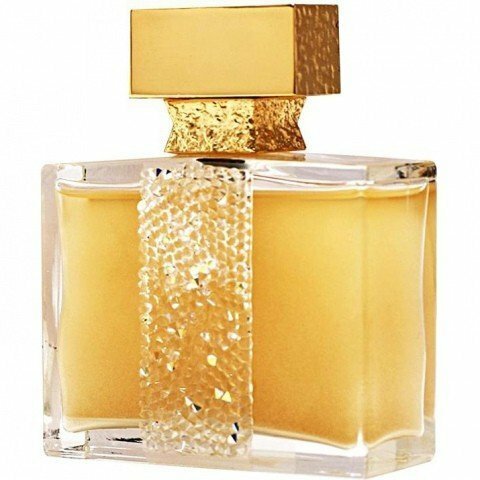 In the bottle, this perfume is an opaque sea of golden liquid. Unusual, and I have to admit to being slightly apprehensive before spraying because I sure didn’t want to end up like a Glitter Diva for the next week of so (you know how hard these pesky particles are to get rid of) … anyway, my fear was unfounded because absolutely nothing remains on the skin. In any case, I have now learnt that those particles are very finely ground mother of pearl. Nice touch, but rather pointless in the grand scheme of things. Like most Ylang and vanilla fragrances, this one is sensual and sweet. There is a strong touch of peach and, as Martine says, “Fruit of the Loom”. This lends the composition a quirky gourmand edge, reminiscent of bubble gum or fruity shampoo. It’s a shame because it cheapens an otherwise pricey perfume. Nothing spectacular, and very linear. I expected more from such lush-looking nectar. A blast of ylang-ylang. Creamy and subtle. The vanilla is all across the board, making it a delicious scent.